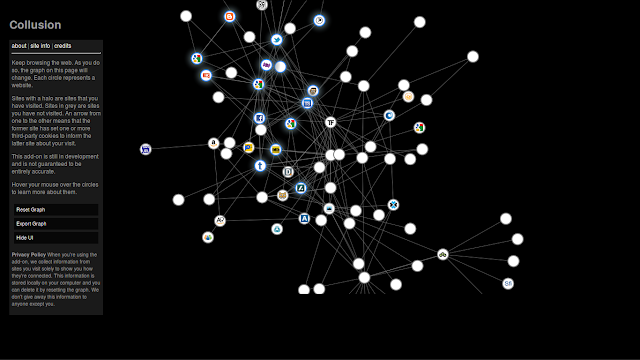 Ok here is another screenshot of a collusion graph. This is about 2 days with "do not track" turned on in firefox. Obviously the do not track setting doesn't actually do anything. Quite a lot of the graph has migrated beyond the edges of the screen, but this is a good indication of what is happening. Your movements are tracked, even if you thought ticking that little box in the settings.